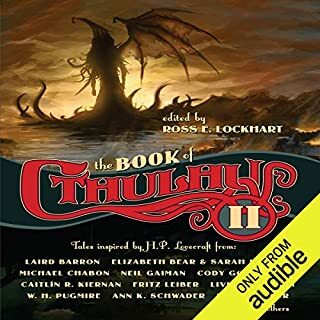 In this collection of Howard's greatest horror tales, some of the author's best-known characters - Solomon Kane, Bran Mak Morn, and sailor Steve Costigan among them - roam the forbidding locales of Howard's fevered imagination, from the swamps and bayous of the Deep South to the fiend-haunted woods outside Paris, to remote jungles in Africa. 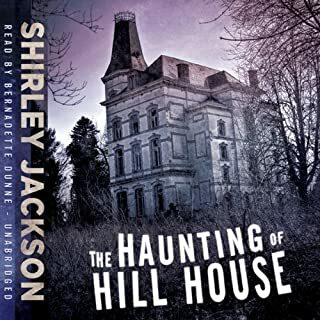 Included in this collection is Howard's masterpiece "Pigeons from Hell", a tale of two travelers who stumble upon the ruins of a Southern plantation - and into the maw of its fatal secret. In "Black Canaan", even the best warrior has little chance of taking down the evil voodoo man with unholy powers - and none at all against his wily mistress, the diabolical High Priestess of Damballah. Also included is the classic revenge nightmare "Worms of the Earth" as well as "The Cairn on the Headland". This story selection is what I expected from Robert E. Howard, although I found the poetry off-putting. However, no complaints. What I found rather amusing is the absence of any political correctness in these writings since we must remember the era in which his prose was written had no concept of being offensive to various cultures. It was just the way it was at that time. Robertson Dean narrated these stories, as always, with aplomb. For those who are curious, here are all the stories in this books. If you are a fan of H.P. 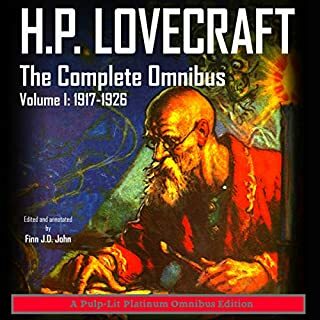 Lovecraft you will enjoy this book. These stories are a unique combination of the 1920-30's pulp horror genre. 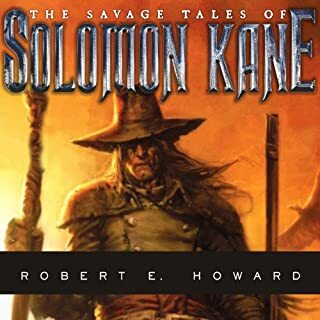 What I enjoyed most about them was how Robert E. Howard spun the unique characteristics of his hero archetype into the stories. In these stories you don't have the bumbling hero surviving by happenstance. You have the Howard hero that survives by his strengths. Furthermore the intermingling of the various horror mythologizes of the era reflect the close relationship that Howard shared with H.P. Lovecraft. 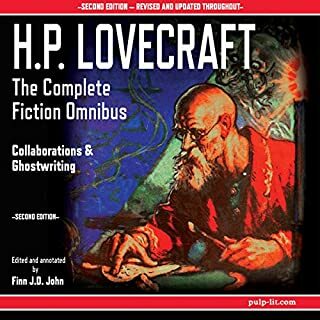 If you like the Howard and you Like Lovecraft you will like this collection of stories. The stories are great and well performed but run together confusingly. The pause between stories is that of chapters or pages. The emphasis placed on story titles isn't sufficiently different from the narrated word and is given with no pause. The narration is done as if the reader thinks you're sitting there with the title in your hands following along. That would work great if you are but if you're not and are relying solely on his presentation to communicate the beginnings, endings and titles of things, you may find yourself a bit perplexed as we did. The forward and introduction are great. The latter is long and contains minor spoilers in communicating who the author is through examples regarding the motivations and mechanisms present in the work. 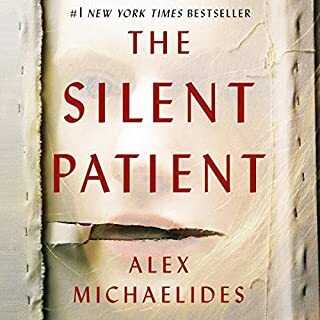 The publisher could really improve this title by going back and editing in pauses between stories and between the reading of each title before the start of its narration. 100 year old tresure! Pure GOLD! 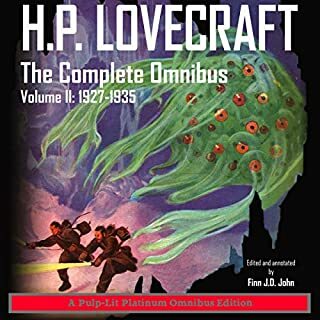 What was one of the most memorable moments of The Horror Stories of Robert E. Howard? 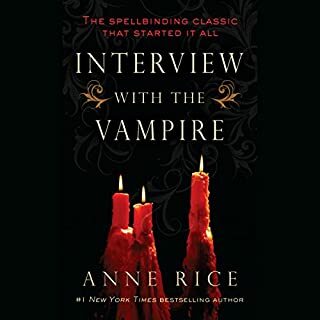 I loved the introduction which explained his relationship to horror master H.P. 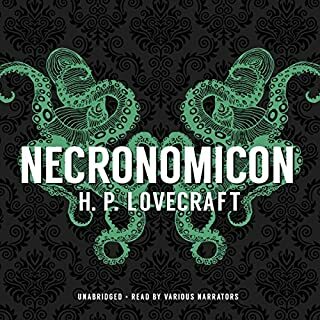 Lovecraft - but every word was cherished! A good clear reading. Very nice. 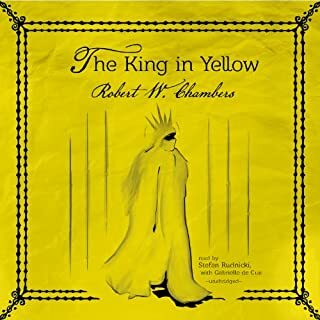 Learning that Robert E. Howard was so young when he started writing, he was such a talent, and that he took his own life. These are great tales. They carved out a brand new writing style! Classic tales! 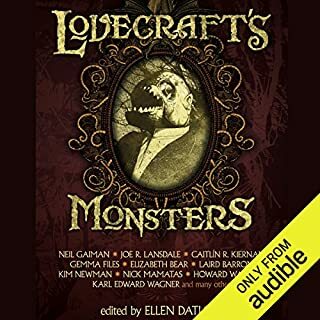 Fresh looks at Werewolfs, Vampires, and barbarians, with a hearty taste of Lovecraft. You do need to come to these tales with half a brain and a love of literary classics. King? Koontz? These are only followers of the path set down by Lovecraft and Howard. Listen on! 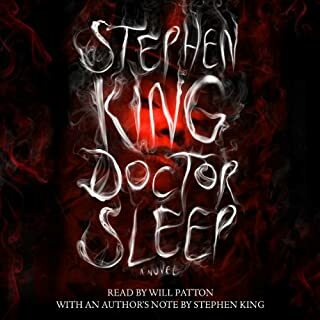 Listen to the start of the dark dream of American Horror. Bang for your buck... or credit! 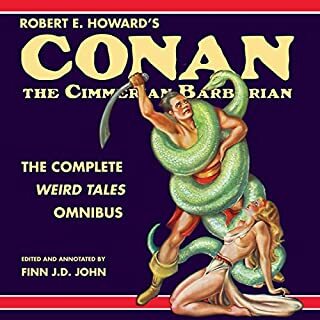 What made the experience of listening to The Horror Stories of Robert E. Howard the most enjoyable? 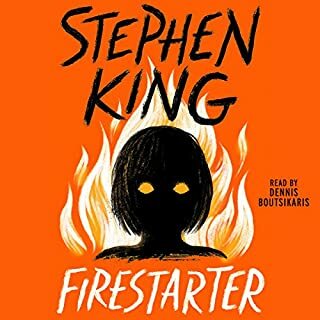 The narrator is wonderful, really draws one in to the already excellent stories. This collection is best taken in small doses. Read a couple stories and put it down for a bit then come back. Most of the stories are pretty good, with a small handful being great. Binge reading will not be rewarded, as the less impressive stories will be likely to blend together. There’s a lot of evocative writing, and some great action sequences here. Unfortunately, it’s a challenge to make it through all of Howard’s questionable world views to get to them. His work shines best when it is unfettered by them and he focuses on delivering a two-fisted pulp yarn. Now there’s several stories in this collection that I really enjoyed. There’s some amusing fragments near the end which I’m pretty certain are ribbing some of his frequent correspondents like Lovecraft. SEA CURSE has great Poe-like visuals particularly the dead girl floating in from the sea. While it's predictable, it evokes a very solid Tales of the Black Freighter feel. THE BLACK STONE is phenomenal. 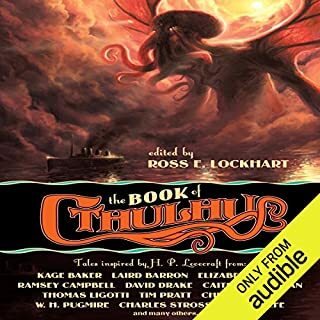 It’s the Call of Cthulhu for Robert E. Howard. One could extrapolate influences on In the Hills, the Cities (Barker) and N (King). THE THING ON THE ROOF is a really great monster story with probably the most expansive exposition on Unspeakable Cults, which is the primary lexicon that Howard contributed to the Cthulhu Mythos. It could comfortably be considered a companion piece to The Hound. THE HORROR FROM THE MOUND is a uniquely American vampire story. This is almost certainly one of the primary seeds for the Weird West movement. I love the jump scare scene in the middle. BLACK CANAAN has some of the most compellingly terrifying pre-Romero zombies I have ever encountered. Placing the dead as sentries in holes in the creeks and their grasping hands pulling man and beast down to prevent crossing is callously brilliant. Unfortunately, the rest of the story is crushed under the weight of the relentless racism and exoticism. I’m undecided on PIGEONS FROM HELL. While a phenomenal story, the last act is marred by what could be read as a problematic message. All the way to the final act, we’re following the mystery of the monster. In the final act, the final turn of the screw is that the monster is the zombified remains of the mistress of the house and not her colored servant. It would be all too easy to make an interpretation that identifies the central theme something akin to “blacks doing monstrous things is expected but when whites do them it’s truly horrifying”. I’m not sure that’s a fair interpretation, and expect it’s more in line with the serialized pulp writing style that has to have some sort of reveal every couple thousand words, so when the story goes up to around 10,000 words, the author needs to craft in some extra reveals. It’s kept me thinking, and I’m going to want to revisit this story a couple more times in the future, so that’s something. 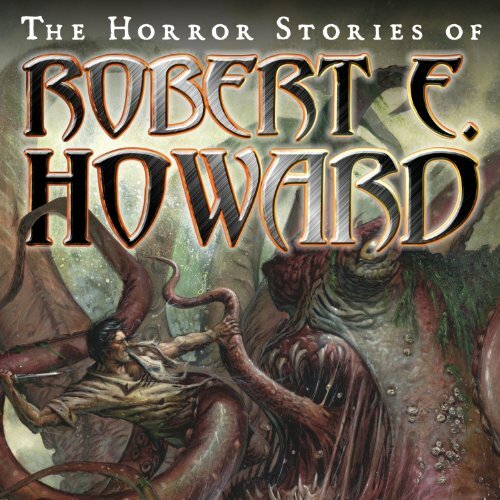 H. P. Lovecraft called Robert E. Howard the greatest writer of horror tales of their time. Then lament over his early, tragic death. 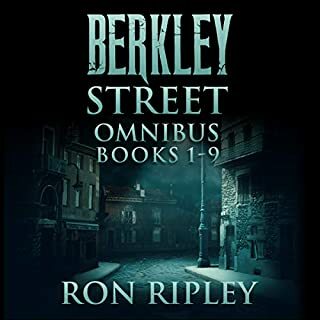 I love this book I will purchase more from this author and the narrator was excellent he has a very calming voice I can listen to him for hours. 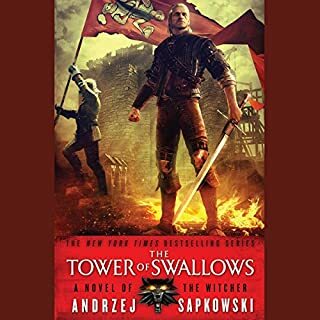 well I really liked everything regarding this book i would give it ten stars if i could. A must have for any horror fanatic. 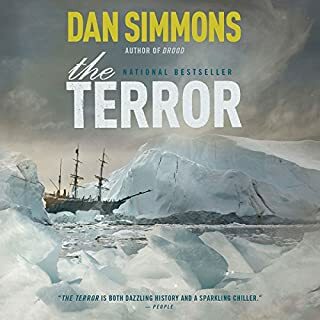 many tales of terror and woe, woven together in masterful fashion. A few unfinished works, but worth the investment. These aren't brilliant literature, they're pulp stories. If you never read one, they might be better than you think. Taste vary. I'd love to give 5 stars for being classics (in my world) but pulp is necessarily pulpy.